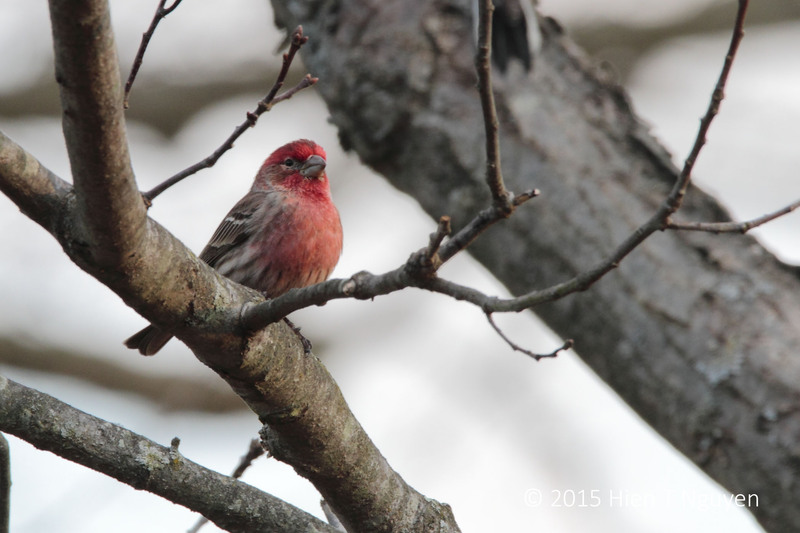 Lately, many House Finches have been coming to our bird feeder. They are tough little birds that yield to no one except the larger Red-bellied Woodpeckers. Otherwise, they perch around the feeder portholes and would not let any other bird species come near them until they’ve had their fill. The Juncos, for example, keep a respectful distance and wait until their turn come. House Finch on oak branch: there he is, taking pictures again. 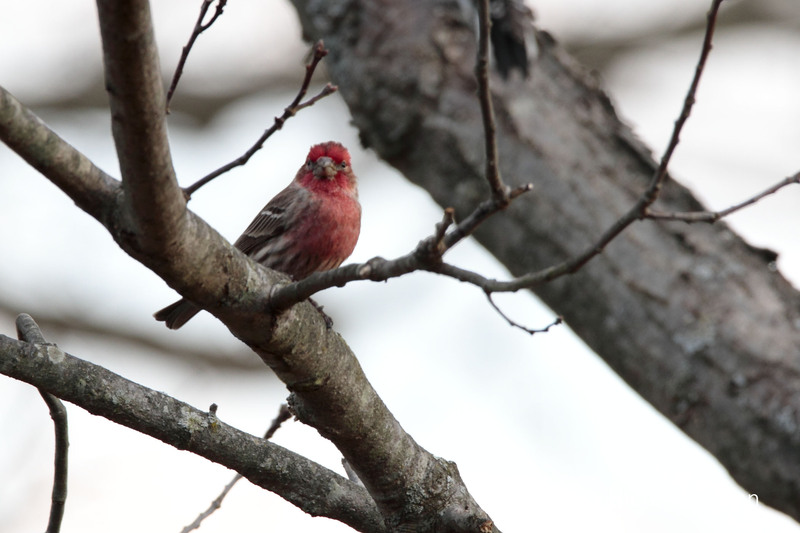 House Finch on oak branch: I’ll wait. 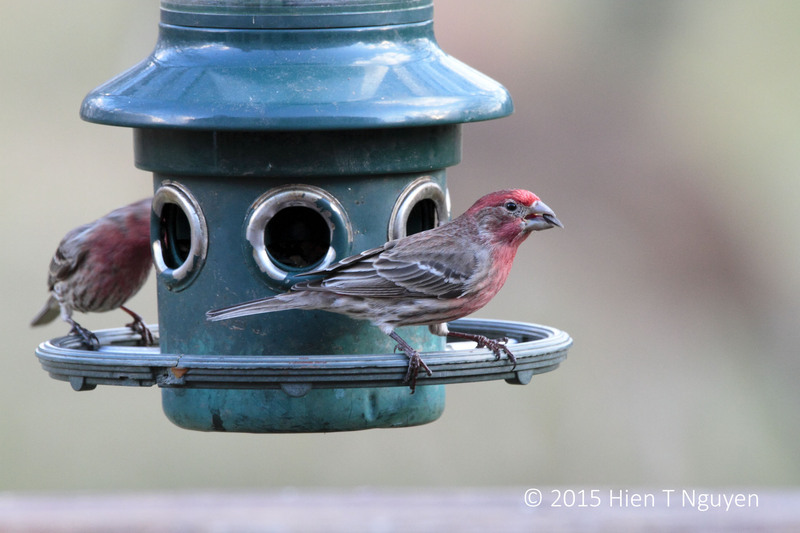 House Finches at bird feeder. So interesting to see the different shades of the birds. These not as vibrant as some but still so gorgeous. Thanks Sue. It may be easier to accept these birds than some others, like starlings. Birds are back… 🙂 Beautiful shots! Wow! I didn’t know they are so tough. Nice shots. Thanks Tiny. They are tough indeed! They have been spreading successfully from the West Coast and Mexico to the East Coast.